The American Association of Orthodontists recommends all children get a check-up with an orthodontic specialist no later than age 7. 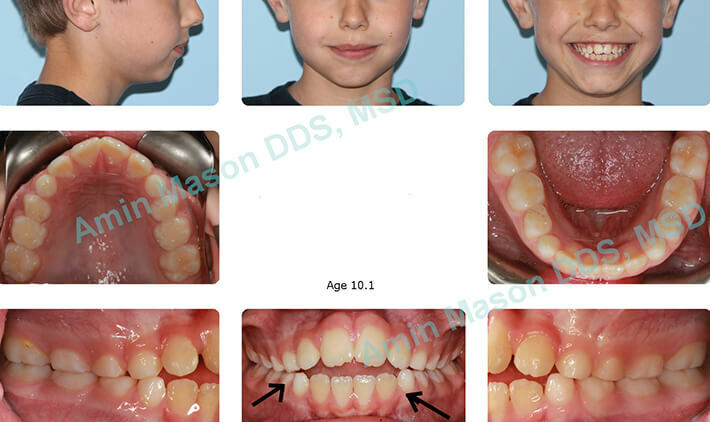 At this point the orthodontist will evaluate your child and may recommend early interceptive orthodontic treatment (also known as Phase I) for the child. 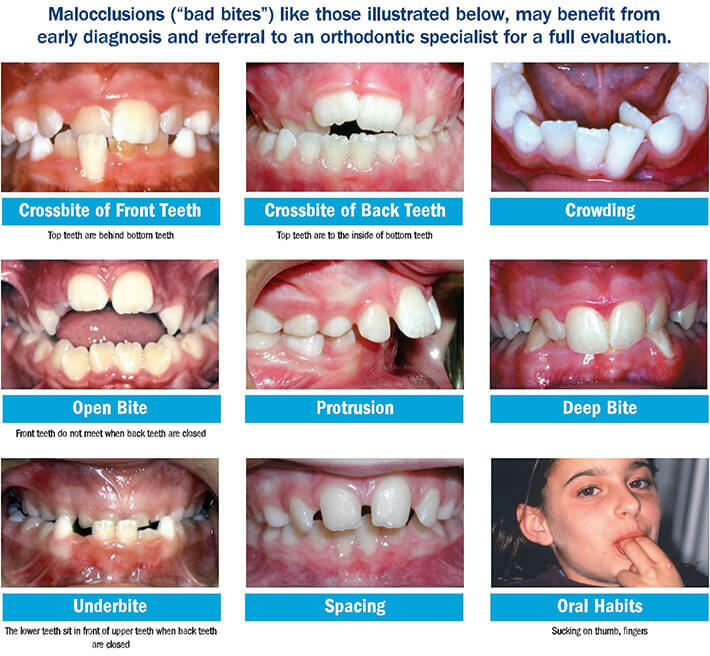 This phase will be undertaken with the clear understanding that a Phase II will follow when the child has matured after loss of all primary teeth. However, in some cases, Dr. Mason may find that patients who successfully completed Phase I treatment no longer require Phase II treatment. If your child is older than 7, it’s certainly not too late for a check-up. What Can A Screening Examination Reveal On A Young Child? 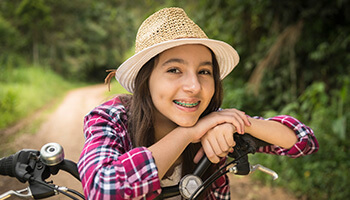 While your child’s teeth may appear to be straight, there could be a problem that only an orthodontist can detect by examining your child’s radiograph. Guide permanent teeth into a more favorable position. May reduce the need for future extractions of adult teeth. Your child continues sucking his or her thumb after age five. Teeth that don't come together in a normal manner or even at all. Patient presented with bilateral posterior crossbite(narrow maxilla) and underbite. 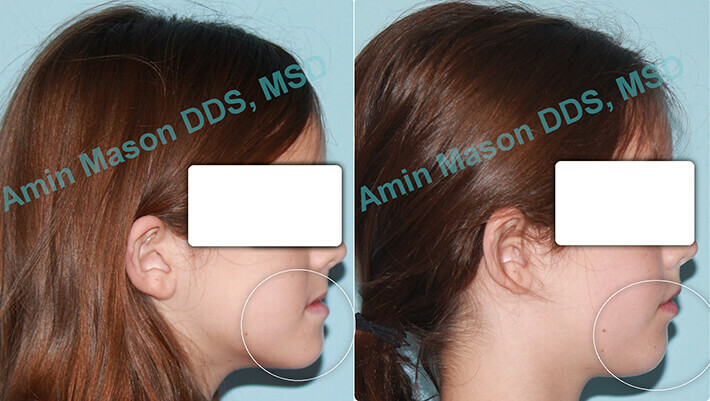 Crossbite and underbite correction performed during phase I. Patient’s profile improved post treatment. 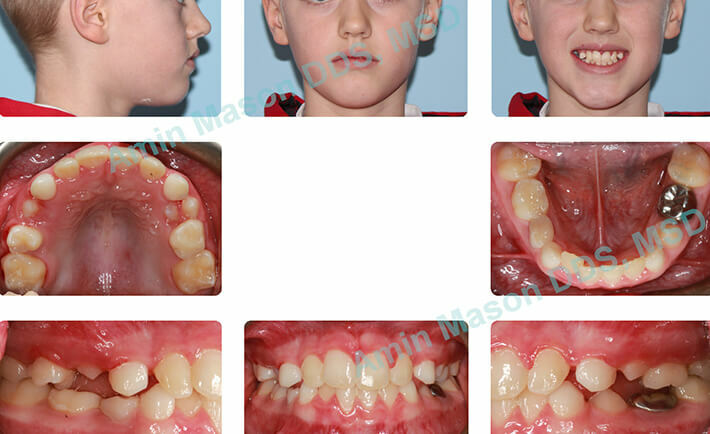 Patient presented with an underbite and trauma to lower front teeth and gingival recessions. 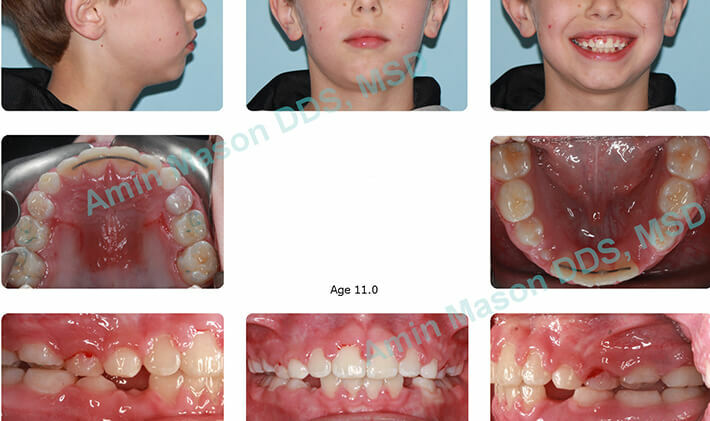 Underbite correction was performed during phase I. Gingival recession improved. Patient presented with an open bite due to thumb sucking habit. Sucking habit was stopped and bite was closed during phase I treatment. 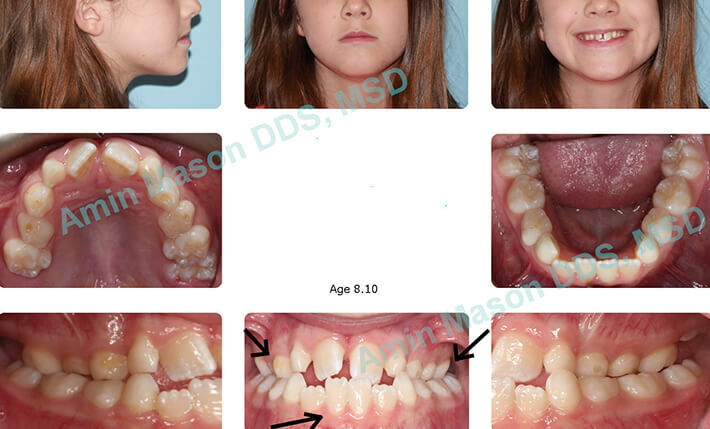 After patient lost all of primary (baby) teeth, patient was evaluated for 2nd phase. Parents chose not to pursue 2nd phase of treatment as they were happy with the phase I results. 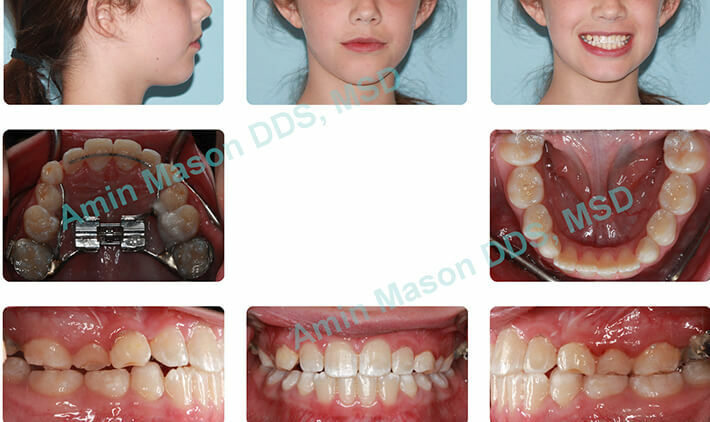 Patient presented with early loss of primary tooth #c and impaction of adult tooth #6. 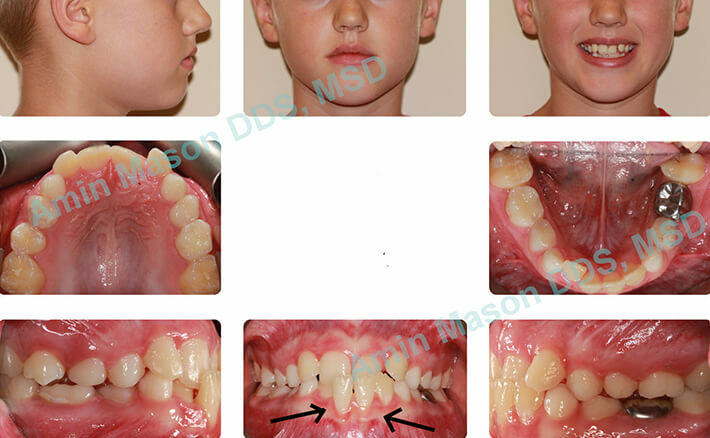 During phase I treatment, space was created for tooth #6 and tooth erupted without damaging neighboring teeth.